The USMCA (or NAFTA-update) was signed today at the G20 summit in Buenos Aires. Key takeaways: the agreement lifts the risk of economic uncertainty; the Canada-US rift remains; and final ratification remains a big hurdle. Meanwhile: the US Farm Bill is likely to pass as Republicans sidelined their forestry provisions; Alberta’s plan to ship oil by rail will hurt lumber shippers; and pressure mounts as Canadian Senators weigh in on Northern Pulp’s future. 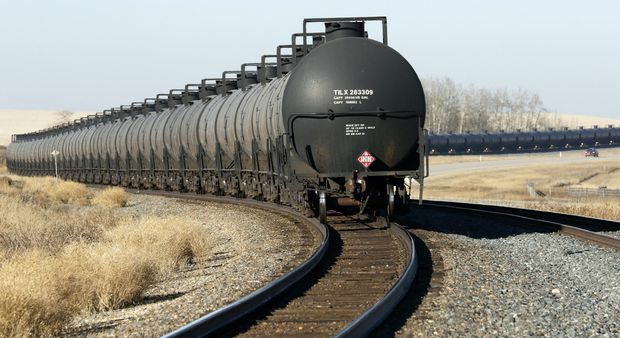 In Forestry news: A&A Trading and Terminal Forest Products pass their forestry audit; Manitoba is privatizing their forest firefighting services; and the US is encouraged to prevent fires by letting the forest burn. Finally, the UK cladding ban may outlaw CLT; and plans are unveiled for the world’s greatest concentration of mass timber buildings in Toronto—with suitable fanfare! He has called Justin Trudeau “very dishonest and weak.” …But on Friday, as President Trump, Mr. Trudeau and Mexico’s president, Enrique Peña Nieto, signed a North American trade pact after 14 months of acrimonious negotiations, the leaders of the United States and Canada appeared cordial… even as their words and body language in recent months have suggested that their once-warm rapport had become as icy as a Canadian winter. In negotiating the United States-Mexico-Canada Agreement, Canada won concessions including a dispute resolution system for companies that feel unfairly targeted with taxes. …In return, Canada agreed to, among other things, Mr. Trump’s repeated demands that it crack open its long-protected dairy market. But the brinkmanship leading up to the agreement was bruising and Mr. Trump’s tariffs on Canadian metals remain in place, severely testing the relationship between Canada and its biggest and most important trading partner. BUENOS AIRES, Argentina — After much anticipation, Canada signed the revamped NAFTA in Buenos Aires on the sidelines of the high-profile G20 summit Friday. …“The new agreement lifts the risk of serious economic uncertainty that lingers throughout the trade renegotiation process — uncertainty that would have only gotten worse and more damaging had we not reached a new NAFTA,” Trudeau said. …U.S. lawmakers have already indicated they don’t expect to tackle the USMCA until after the new Congress is sworn in early next year. The deal — 32 chapters, 11 annexes and 12 side letters — sets new rules for the auto sector. …It preserves a contentious dispute-resolution system the U.S. dearly wanted gone, extends patent protections for biologic drugs and allows U.S. farmers a 3.6-per-cent share of Canada’s famously guarded market for poultry, eggs and dairy products — a concession that dismayed Canadian dairy producers. OTTAWA – The Government is committed to advancing gender equality and understands the important role that creating more opportunities for women in all aspects of Canadian life can play in promoting women’s empowerment. By investing in projects that improve women’s economic security, we are helping to ensure that women, their families and communities can prosper. Terry Duguid, Parliamentary Secretary to the Minister of Status of Women, today announced on behalf of the Honourable Maryam Monsef, Minister of Status of Women, Government of Canada funding for a project that will increase women’s economic security in Ontario and across Canada. The Canadian Institute of Forestry will receive $467,000 for a 36-month project entitled “Gender Equality in Forestry National Action Plan” that will work to remove the barriers that prevent or discourage women from pursuing rewarding middle class jobs and careers in the forestry industry. BUENOS AIRES – President Donald Trump and the leaders of Mexico and Canada signed a revised trade pact Friday that changes many of the rules governing the free flow of commercial goods across North America. …But many other steps will be needed before the new agreement takes effect. …Mexico is expected to go first. …In Canada… Parliament is unlikely to take up the pact until after it is ratified by the U.S. Congress. A vote in Congress probably won’t happen before next March or April and could possibly be delayed as late as next fall, said Ujczo. …The U.S. International Trade Commission will release its report on the trade deal’s impact on the economy early next year, probably in March. Congress will almost certainly wait for that report before scheduling a vote on the deal, analysts said. HALIFAX—A proposal to pump millions of litres of treated pulp mill waste into the Northumberland Strait is a clear case for Ottawa’s toughest environmental review process, say veteran fisheries scientists — who contend many questions remain on how a swirl of sea life will mix with warm effluent and a changing climate. The Strait touches three provinces, and the wider Gulf of St. Lawrence fisheries region is home to lobster and crab fisheries that brought in over $1.2 billion worth of catch in 2016. Bruce Hatcher, a Cape Breton University biologist, says Ottawa should appoint a panel to study the potential damage if Northern Pulp was allowed to pump 62 million litres of effluent daily from its Abercrombie, N.S., mill into the Strait. “I believe this is a good example of a place that justifies a full environmental review,” said Hatcher, who has studied marine environments for over three decades and is the university’s chair in marine ecosystem research. 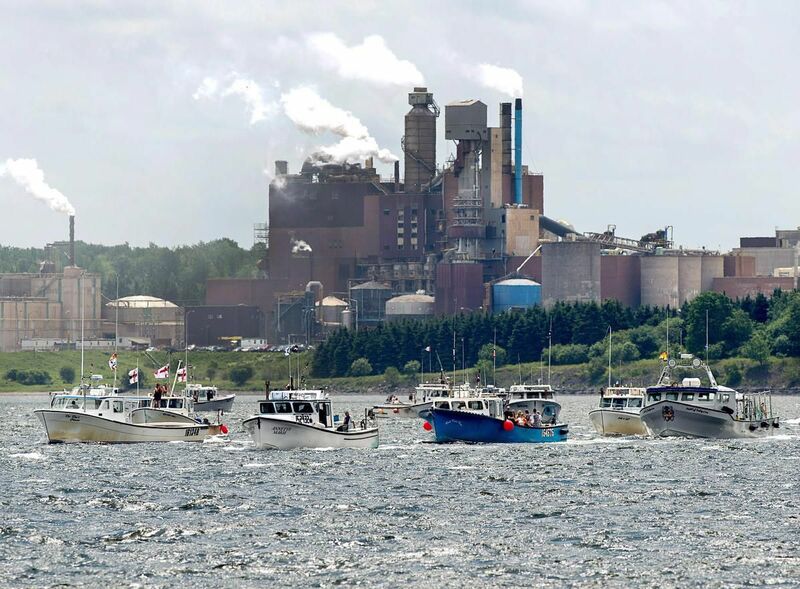 Nineteen Canadian senators have signed a letter calling on the Trudeau government to order a full federal environmental assessment of the Northern Pulp plan to discharge treated effluent into the Northumberland Strait. It comes as the Pictou County mill and its union launch their own campaign to drum up support for the company’s effluent treatment project. The senators’ Nov. 28 letter to federal Fisheries Minister Jonathan Wilkinson and Environment Minister Catherine McKenna says a Nova Scotia provincial government assessment is insufficient, given the potential risks to fisheries and tourism in neighbouring Maritime provinces. “But we submit the Nova Scotia government is in a conflict of interest. They are simultaneously promoting the project while at the same time claiming they are committed to protecting the environment,” the letter states. ST. JOHN’S, N.L.—Active Energy Group (AEG) is planning to construct a $19.7-million wood pellet plant in Hawke’s Bay. The proposed plant will produce 55,000-65,000 metric tonnes of CoalSwitch wood pellets annually for export to Poland through the local port, according to a news release from the Department of Fisheries and Land Resources on Thursday, Nov. 29. Two five-year commercial permits have already been issued to Timberlands International Inc., a subsidiary of AEG, to cut a total of 100,000 cubic metres of timber annually in forest management districts 17 and 18 on the Great Northern Peninsula, which will support the operation of the plant. “This agreement is a significant achievement for the company and for the Province of Newfoundland and Labrador, and will reap rewards for all parties in the years to come,” Timberland International Ltd. managing director Richard Spinks said in the release. WASHINGTON — Federal food aid recipients won’t be faced with major new work requirements. And changes in forestry policy that made environmentalists furious are gone. House Republicans gave up Thursday on trying to include those provisions in a massive farm policy bill, clearing the way for a vote in Congress next week. The concessions will likely help draw Democratic votes to the bill in the House. …Thune said Republicans would also make concessions in the debate over forest fires, an issue that had been elevated to the Senate and House leadership teams after negotiators reached an impasse on the issue in the wake of deadly wildfires in California. President Donald Trump’s administration and House Republicans advocated for new rules that would expedite forest-thinning projects, but Democrats and environmental groups successfully protested the measure, warning it would be an ineffective tool against fires. Farm bill negotiators pretty much have a deal … sort of. Senate Ag leaders say they’re on the verge of an agreement, contingent on receipt of final cost estimates. Here’s what we know… Congressional leadership helped break the logjam by resolving a standoff over forestry and wildfires. Senate Ag leaders hinted that the forestry title could be passed in a separate bill — a tactic used in 2002-03 when lawmakers couldn’t agree on forestry provisions. …Senate Ag Chairman Pat Roberts and ranking member Debbie Stabenow weren’t ready to call it a deal, but the outlines of an agreement to resolve outstanding issues were taking shape Wednesday. The tentative resolution on forestry and other matters leaves Congress in decent position to pass the final measure before the holidays — if they can tie up loose ends in short order. 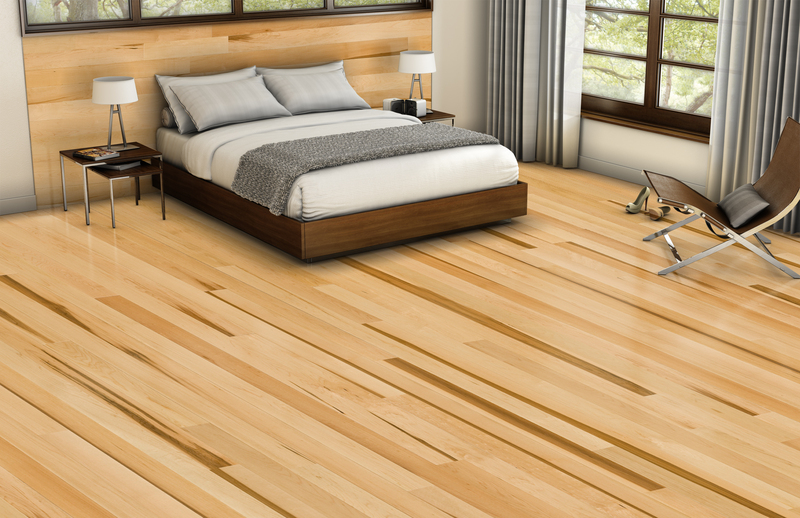 St. Louis — The National Wood Flooring Association (NWFA) has announced that Lauzon Distinctive Hardwood Flooring in Papineauville, Quebec, has earned the NWFA/NOFMA Mill Certification. “We are pleased to welcome Lauzon Flooring as the newest Canadian member of the NWFA/NOFMA Program,” says John Forbes, NWFA Manufacturer Services Director. “The NWFA/NOFMA Program was founded over 100 years ago, and the fact that certification continues to be a sought after differentiator, clearly demonstrates the vibrancy and relevancy of the designation.” The NWFA/NOFMA certification shows that a manufacturer’s wood flooring meets or exceeds the industry standards for grade, configuration, moisture content, and average board length. Certified mills are inspected a minimum of two times per year to ensure consistent grade standards are met. Forest Products Association of Canada CEO Derek Nighbor issued the following statement today in response to the Quayside Community Project announcement, a commitment to utilize mass timber in its construction, and as a result showcase Canada’s world-leading forest products: “Today’s announcement is further proof of the renaissance we are seeing in wood construction in Canada and around the world,” said Forest Products Association of Canada CEO Derek Nighbor. “This project will not only support efforts to address affordable housing needs in Toronto, but it will also realize important environmental benefits – wood is a renewable resource, it stores carbon, and building with it leaves a lower carbon footprint. It is also great news for the economy with jobs for engineers, architects, tradespeople, and advanced manufacturers. We could not be more excited to see such a forward-thinking project taking root in the heart of Toronto,” Nighbor added. 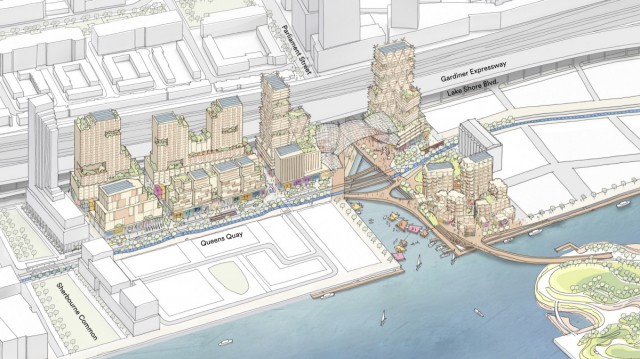 Just over a year after Google parent company Alphabet confirmed the speculation and announced their planned development in Waterfront Toronto’s Quayside community, a fleshed out draft plan has been revealed for the proposed ‘digital neighbourhood’. The project from Sidewalk Labs aims to weave smart technologies into a mixed-use, mixed-income community to be built from scratch. The plan incorporates several innovative approaches to city-building, including the use of sustainable mass-timber construction for all buildings within the community, including several towers, three as high as 30 storeys. This move would bolster the Canadian timber industry while minimizing carbon emissions, with a projected 75-85% reduction in greenhouse gas emissions compared to standard developments. Quayside would be home to the single greatest concentration of mass timber buildings anywhere in the world. Government has ruled out the use of any material that does not have one of the top combustibility ratings in buildings over 18m. The use of cross-laminated timber in buildings over 18m tall appears to have been outlawed as the government reveals details of its combustible materials ban. The amendment to Approved Document B, has ruled out the use of any material within an external wall that does not have one of the top combustibility ratings, A2-s1, d0 or Class A1, with the exception of membranes, seals and gaskets. The document defines an external wall as ’anything located within any space forming part of the wall.’ The changes …not only cover residential towers that rise more than 18m above ground, but will also need to be adhered to by those building student accommodation, care homes, sheltered housing, hospitals and dormitories in boarding schools. Wood from threatened south-east Asian rainforests has been used to build venues for the Tokyo 2020 Olympics, according to complaints filed with organisers. At least 134,000 large sheets of tropical plywood from Malaysia and Indonesia have been used as concrete moulds to build stadiums, causing what campaigners say is irreversible harm to precious biodiversity reserves. Charge sheets seen by the Guardian accuse the authorities of purchasing policies “resulting in the permanent loss of tropical rainforests in Indonesia as well as the destruction of critically endangered orangutan habitat in Borneo”. The allegations focus on the use of 8,700 tropical plywood sheets mostly supplied by the Korean-Indonesian firm Korindo. A report by a group of environmental NGOs this month alleged that the wood was being used to construct the Ariake arena, a planned volleyball venue, despite the lack of credible sustainability certification. Scott Hinch received a Mitacs Award for Exceptional Leadership at the 2018 Mitacs Awards held on November 27. 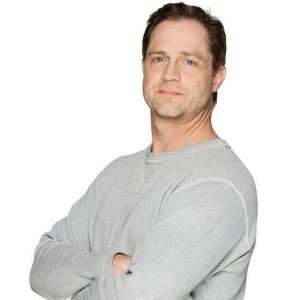 Scott earned the award of Exceptional Leadership-Professor for devising state-of-the-art tracking and monitoring research of small fish in support of conservation efforts for wild Pacific salmon in collaboration with the Pacific Salmon Foundation, St’át’imc Eco Resources, and BC Hydro. Dr Hinch is a professor in the Forest and Conservation Sciences Department at University of British Columbia. 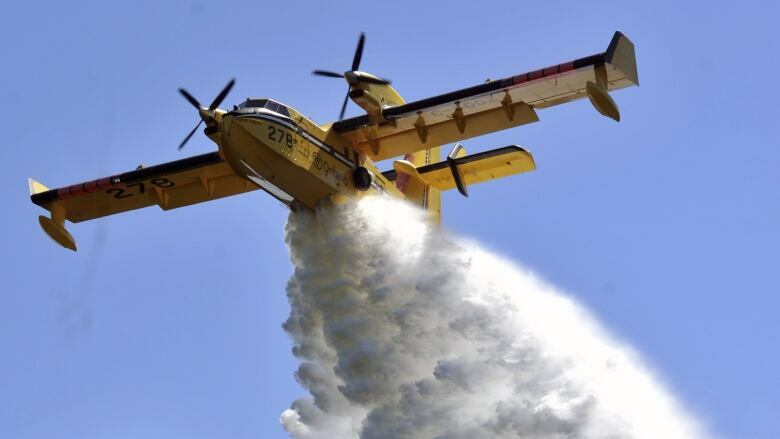 Manitoba has formally handed over its forest firefighting services to the private sector, including the use of its water bomber fleet. The government announced Thursday that it has made a deal with Babcock Canada Inc., an engineering support company with a history in providing aerial emergency services, to perform the suppression of wildfires from now on. “Our government is committed to protecting Manitobans from wildfires and that’s what this agreement delivers,” said Infrastructure Minister Ron Schuler. “It will ensure faster response times, enhanced safety and a superior aircraft maintenance program. It will make Manitoba’s wildfire suppression system even better.” The government will retain ownership of its seven active water bombers and lease them to Babcock Canada, which will operate the bombers. CALGARY — A judge is to sentence a world-renowned Alberta ski resort today for cutting down endangered trees five years ago. The Lake Louise resort in Banff National Park pleaded guilty last December to taking down a stand of trees, including some whitebark pine, along a ski run in 2013. The resort is to be sentenced in a Calgary courtroom on two charges — one under the Species At Risk Act and the other under the Canada National Parks Act. A total of 132 trees were removed. …The maximum fine under the Species At Risk Act for each tree destroyed is $300,000, while the maximum per tree is $250,000 under the National Parks Act. A judge’s stark warning that natural wonders have no right to exist under federal law unsettled a group of conservationists fighting a proposed highway project through a majestic grove of ancient redwood trees in Northern California. 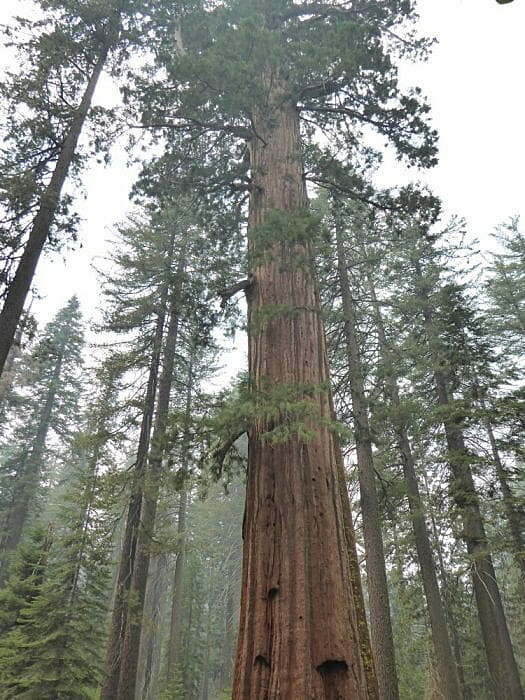 “It might be hard to swallow, but they could actually cut down an old growth tree that’s been here for 2,000 years for a highway as long as they consider the consequences of that action,” U.S. District Judge William Alsup told a dismayed group of environmentalists. Alsup was addressing more than a dozen opponents of a proposal to widen a 1.1-mile stretch of Highway 101. Assuming the role of law professor, Alsup lectured the crowd on how U.S. environmental laws grant no rights to ecosystems; they merely require government agencies fully consider the impact of proposed projects on the environment. …Much of California’s forestland is overgrown, partly because of federal regulations implemented in 1910, which mandated stamping out wildfires as soon as possible. These policies were revised around the 1970s to allow some fires to naturally burn their course, but much of the West has struggled to do so. …Ecologists and forest experts attribute California’s destructive wildfires to decades of aggressive fire suppression, in addition to the increased population of fire-prone areas and hotter, drier conditions due to climate change. The solution needs to address all these things, but one critical step is shifting our understanding of fire’s role in forest ecology. Policymakers and citizens alike must abandon the idea that trees are always worth saving and that fire is always a threat. Instead, they should permit modest, ecologically necessary wildfires to burn. That the wildfire in northern California is 98 percent contained is welcome news, as is the fact that some of the more than 1,600 firefighters are being allowed to return home. …Whatever the cause of the fire — utility error, a changing climate, or some other factor — reducing the amount of fuels that cause fires such as this one to burn out of control must be a central focus of future management plans. Recently, the Mackinac Center worked… to publish “Conflict to Collaboration,” which considers many forest management issues. 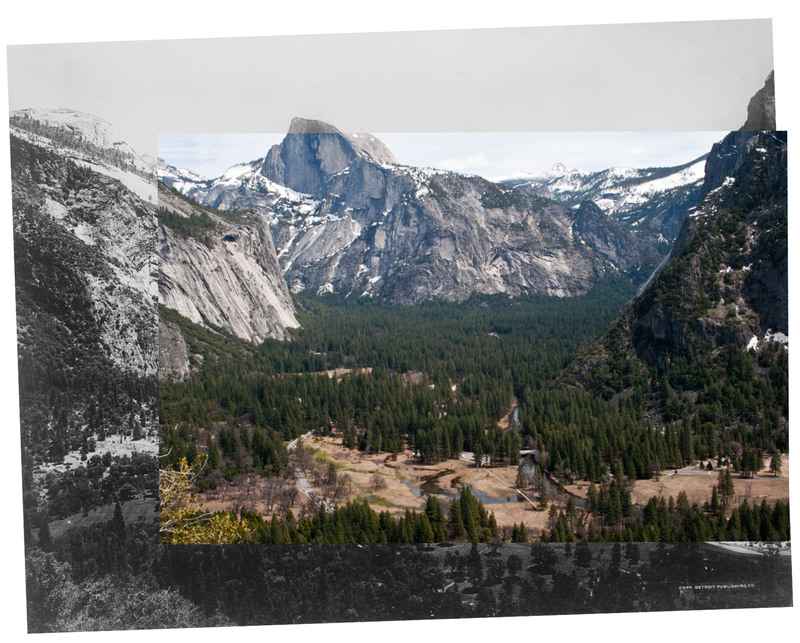 …Faced with this complex, expensive and difficult situation, even the outgoing California governor, Jerry Brown, backed August legislation that would allow private landowners to… thin out the state’s overgrown forests. …Not surprisingly, many environmental groups oppose the measure, claiming it was an attempt to open up these lands to logging interests. The manual work of reviving U.S. forests after a wildfire is arduous and increasingly overwhelming, but a new ally in the sky is here to help. DroneSeed, a 2-year-old startup presently operating across the Western U.S., is making headway in its mission to turn the skies above scorched wilderness into delivery highways for seeds, herbicides and fertilizers. …According to the company, whereas an experienced tree planter can plant about 800 trees a day, one person with 15 DroneSeed drones could do the equivalent of 360 manual-labor hours in a single day. …Once a drone has been given a location to plant a new tree, it uses compressed air to shoot a proprietary seed pod into the soil. According to TechCrunch… the seeds are packed into nutrient-rich, biodegradable pucks that are coated in spicy capsaicin to deter animals. A new strategy for Scotland’s forestry industries is seeking to harness the opportunities of natural wood fibre to double the sector’s economic growth to £2 billion a year by 2030. Launched by the Scottish Forest and Timber Technologies Industry Leadership Group, the Roots for Further Growth strategy sets out a vision for economic growth up to 2030. The strategy has five strategic priorities: Maximise the economic outputs of Scotland’s forest and fibre resource; Improve the safety and efficiency of the wood fibre supply chain; Expand markets and add value; Develop a workforce with skills for the future which supports inclusive growth; Understand and communicate the forest and wood-based industries’ contributions to Scotland’s economy. Forestry Minister Shane Jones and Agriculture Minister Damien O’Connor have today launched the One Billion Trees Fund – a crucial step toward achieving the goal of planting at least one billion trees by 2028. Led by Te Uru Rākau – Forestry New Zealand, the Fund provides $118 million for simple and accessible grants to landowners and organisations looking to plant trees. It also provides $120 million for partnership projects that aim to reduce the barriers to tree planting through innovation, research and sector development initiatives. “The One Billion Trees Programme sets an ambitious target, but brings with it the huge opportunity to revitalise our regions and create real economic, social and environmental benefits across the country. It will also support Māori to realise the potential of their land,” Shane Jones said.